The Super Bowl commercials are known for being innovative, but typically we're all familiar with the products being sold. However, the 2016 Super Bowl commercial for Jack in the Box, one of this year's offerings, is for a hamburger establishment that only half of the country will recognize. Where are Jack in the Box restaurants located? With a Founding Father-themed commercial, they've certainly tapped into everyone's love of Hamilton — revolutionaries are hella in right now. However, the fast food chain might be more difficult to find than you think. 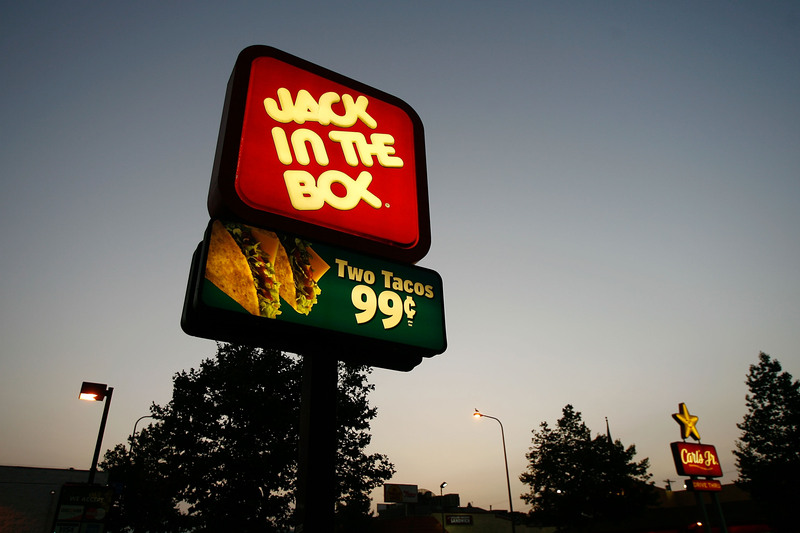 Most Jack in the Box restaurants are in California near San Diego, where the company began. According to their official website (where you can type in your zip code and get specific about it), there are locations in 19 states. That is several, but they are mostly on the West Coast, with a smattering of locations in the Midwest and the South. There are none in the Northeast at all — you'd have to go as far Southeast as North Carolina or as far Northwest as Ohio to get your hands on that burger. I gotta wonder, why do they have a national Super Bowl ad? Like, do they not realize that these air all over the country, and beyond? Isn't that kind of a risky ad space buy? Why are they tempting us like this? It's not fair! Maybe they're looking to expand. (That's their mascot, residents of the other 31 states or, you know, other countries.) I've never been to a Jack in the Box myself, but I do understand the fervor and passion for regional fast food chains. I grew up on Newport Creamery in New England. I've braved the long lines at Shake Shack in New York and Boston. Seriously — stop talking to me about In-And-Out and Wawa! Then again, I once brought my friends biscuits from Bojangles across the continental United States on a plane and I had a difficult time staying away from Chik Fil A for political reasons when that was a thing. My personal favorite is Cook Out, and those can only be found in the Southeast, most primarily North and South Carolina. We all have our favorites based on where we're from. It's a shame that more people can't get in on this Jack in the Box action. Watch the 2016 Jack in the Box Super Bowl commercial below. Does it make you want to move?